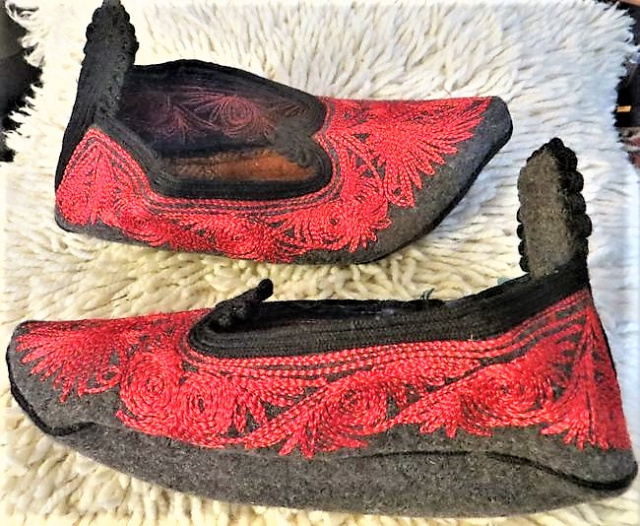 Traditional Bulgarian wool slippers from the Rhodope Mountains area. 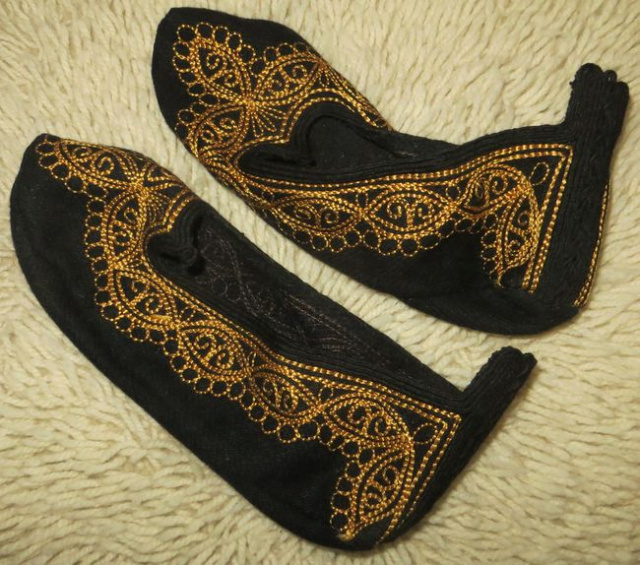 The exotic design reflects the historical Muslim and Turkish influence. 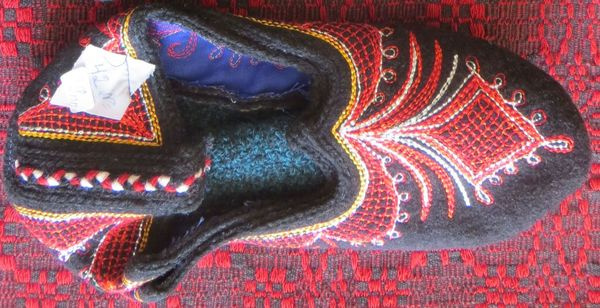 Craftswomen today make slippers (called terlitsi) on the sewing machine using wool or wool blend fabric. Traditional patterns are machine embroidered in colors and metallic threads. 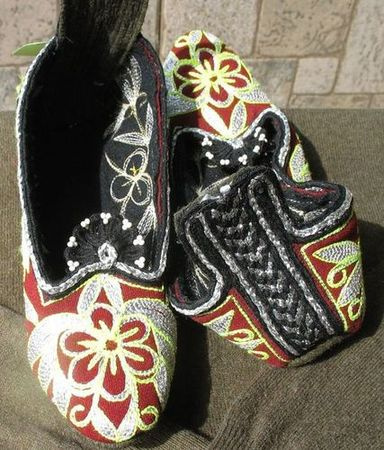 Gaitani, trim similar to middy braid, is typically used on the back of the ankle or arranged in decorative loops and patterns. 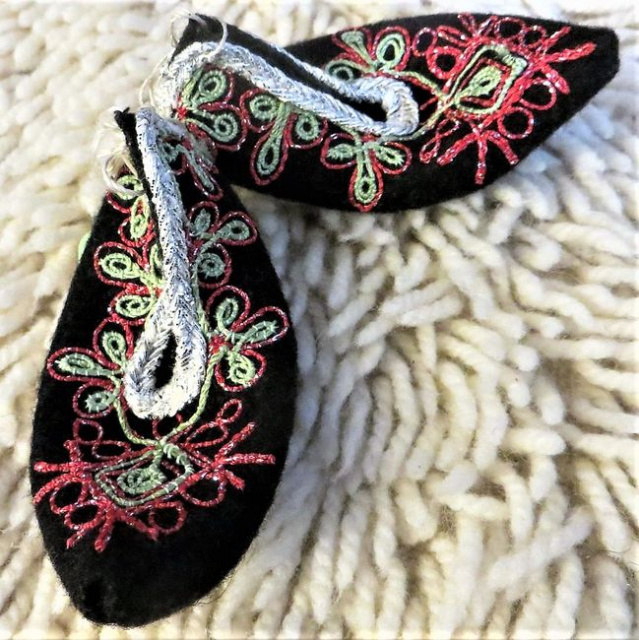 The handsome slippers on this page are brand new, soft and comfortable to wear. 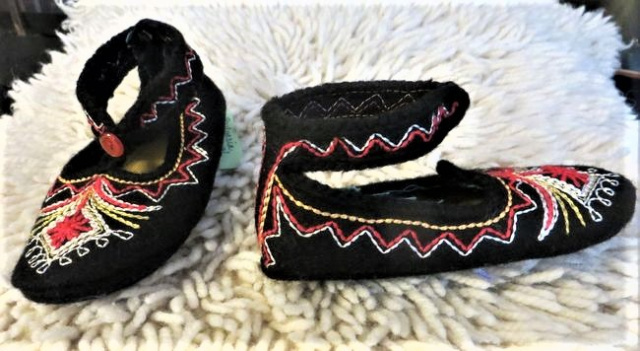 They can be worn, displayed or added to a folk collection. When there are no sizes in the slippers, we measure and make our best guess.